The owner of UK newspaper The Daily Mail is reportedly in the running to buy Yahoo’s assets alongside some other 40 interested parties. According to a Wall Street Journal report, the Daily Mail and General Trust is in talks with “several private equity firms” about launching a bid for the web portal, with its main interest in Yahoo’s news and media assets. The WSJ said that there were two possible ways the Daily Mail would aim to make a bid: a private equity partner would buy all of Yahoo’s US operations, with the Mail taking over the news and media properties; or the private-equity firm would buy Yahoo and merge its media and news operations into a new company that would include the Daily Mail’s digital assets. The report claims that a deal would substantially grow the Mail’s US presence and that the firm has held talks with around six private equity firms – but has not yet met directly with Yahoo. A spokesperson for DailyMail.com told DTVE: “Given the success of DailyMail.com and Elite Daily we have been in discussions with a number of parties who are potential bidders. Other companies interested in Yahoo, who have met with the firm, are Verizon, IAC/Interactive Corp and CBS, according to the WSJ. 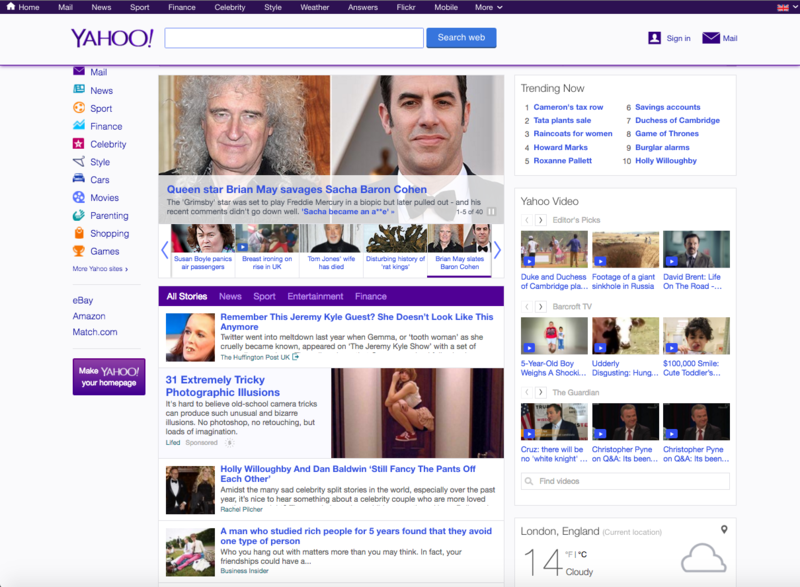 Tags: Daily Mail, Daily Mail and General Trust, Yahoo!